Despite its 500 locations in the U.S. and Canada, Kampgrounds of America (KOA) wasn't very well-known. Allison+Partners, working with Cairn Consulting worked to change that. Despite its 500 locations in the U.S. and Canada, Kampgrounds of America (KOA) wasn’t very well-known. Generations of people grew up with the iconic roadside KOA signs, but research showed that while most recognized the logo, awareness of what the brand offered fell short. 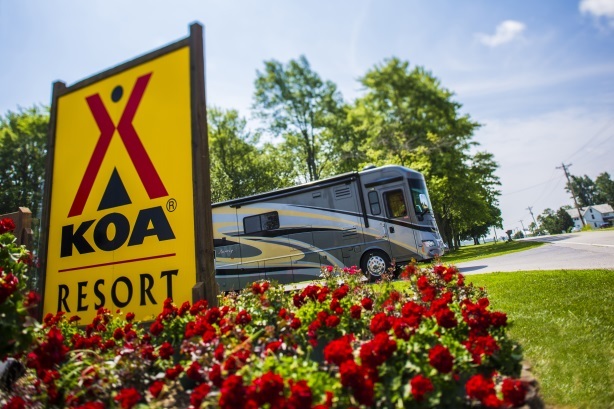 Non-KOA campers didn’t associate it with quality, recreation, or service, and the brand was reaching only 1 million of the 39.5 million North American camping households. They were unaware of the breadth of KOA offerings, from tent and RV sites to deluxe cabins and glamping. Allison+Partners, working with Cairn Consulting, conducted a survey of U.S. households who camp, which revealed four high-value targets and their camping preferences: U.S. campers, Canadian campers, camping families, and women. Within each segment, the survey drew out preferences, such as U.S. campers who like access to Wi-Fi while camping, but also want to reconnect with nature and spend time with family. But how to intrigue travel writers focused on luxury? Results from another survey were packaged into the 2015 North American Camping Report, with newsworthy stats such as a rise in minority campers. The team enticed reporters to give camping a try, and organized a tour for 50-plus bloggers. A tie-in with Toyota played up the glamping option, and events publicized the effort. Results blew business leaders away: a 6% increase in occupancy and more than a 13% rise in registration revenue. And new camper business increased 14%. Camper nights jumped 10% and camping revenue almost 16%. A post-campaign survey showed half of new campers learned of KOA via earned media. "A great effort," said one judge. "Solid data insights led to positive business results. Adobe research revealed 74% of marketers still feel they need to be more data-driven to succeed. To position its Adobe Digital Insights product, the PR team leveraged events throughout the year, creating news to drive awareness. It conducted audits of media targets and created a strategy around each, releasing about 30 data reports around Mother’s Day, holiday shopping, and more. The constant drumbeat provided year-round visibility for Adobe. Over 7,000 articles reached more than 35 billion unique visitors a month.